Please note that the Meeting Room is only available from the hours of 9.00 am to 4.30pm Monday to Thursday and 9.00 am to 4.00pm Monday to Friday for external Clients. 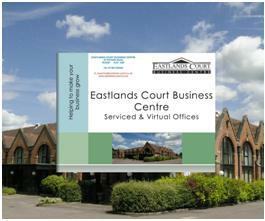 © Copyright Eastlands Court Business Centre, 2011. All Rights Reserved.